You know what’s aged well, besides me? This 1992 Dodge Viper. As twins, we were separated at birth, but now that our third decade apart draws close, we are ready to be reunited. Won’t you help us out? I guess “us” is a little rich, because by “us” I mean me: help me buy this car. It’s the same vintage as me. 1992 was a good year, a fine year. I ought to have a little souvenir from such a great year, other than myself of course. It was delivered new to a collector all those years ago and even has the original Monroney sticker on the window still. Worryingly, though, the listing also says that the car is sitting on its original tires “with no flat spots and no cracks,” but I would advise getting those swapped off as soon as possible. Old rubber is no joke. It’s priced at $99,885 which is admittedly a lot. But think about it this way: you’re getting the rare chance to relive 1992 as it was. It probably even smells like 1992 in there. How many people get second chances at life like this? I’d certainly do it all over again. I have a few mistakes I’d like to rewrite. And I think I’d be able to pull that off in this Viper. They attached the seat belts to the DOORS? Genius!! 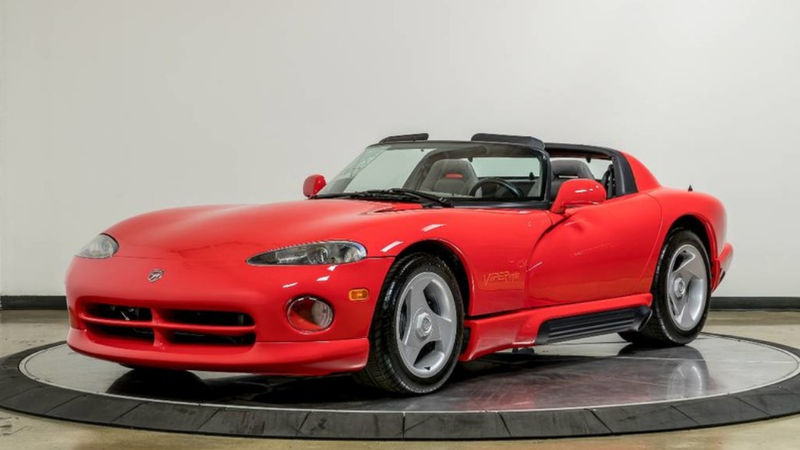 I Should Run From This Dodge Viper Superleggera, Right?